IMPORTANT: Due to new laws in the EU, clients must opt in for Reminder Texts in order to receive them. Please Log In to adjust your preferences. Chi Spa sends one monthly email, and you can receive monthly Wellness Event PRE-SALE notification via our App and Social Media pages, or mark your calendar - every month from the 2nd Tuesday through the following Sunday - to SAVE with $69 spa treatments! Purchases can be shared and do not expire. 1. $85 credit toward any 60-minute service on our Body , Face or Package menus. 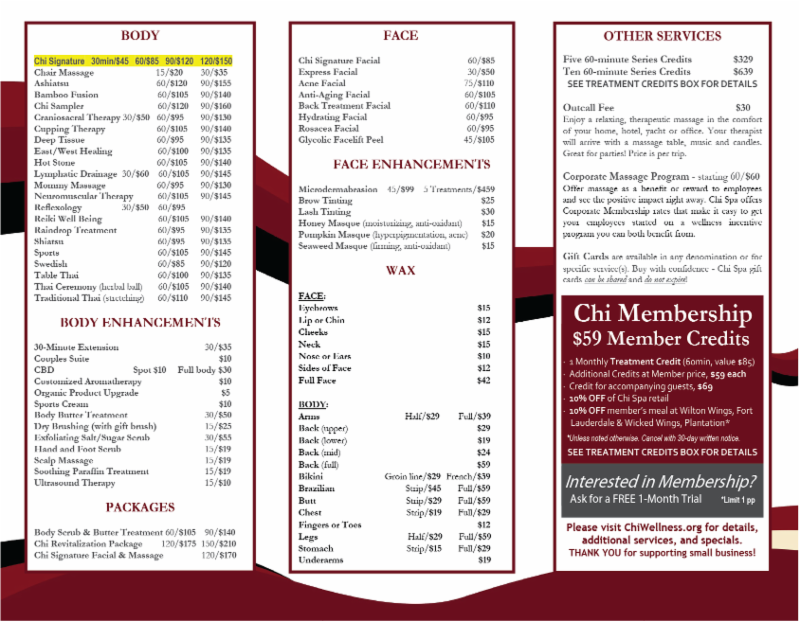 *Value equals Chi Signature treatment price of same duration.Split Fee $5 per treatment. No cash back. Etiquette suggests that gratuity be calculated from the full, undiscounted service value. stock up on Treatment Credits! *$40 Savings (normally $99). Pay $59 for 1st Member Credit and enjoy FULL member benefits (below) while membership is active. Unused credits remain available after trial ends. Limit 1 trial per guest. Cannot be combined with other offers. * Monthly autopay using credit card on file. Cancel with 30 days written notice. ﻿Avoid waiting for our monthly Wellness Event or membership commitment with these convenient packages that can be shared and never expire! 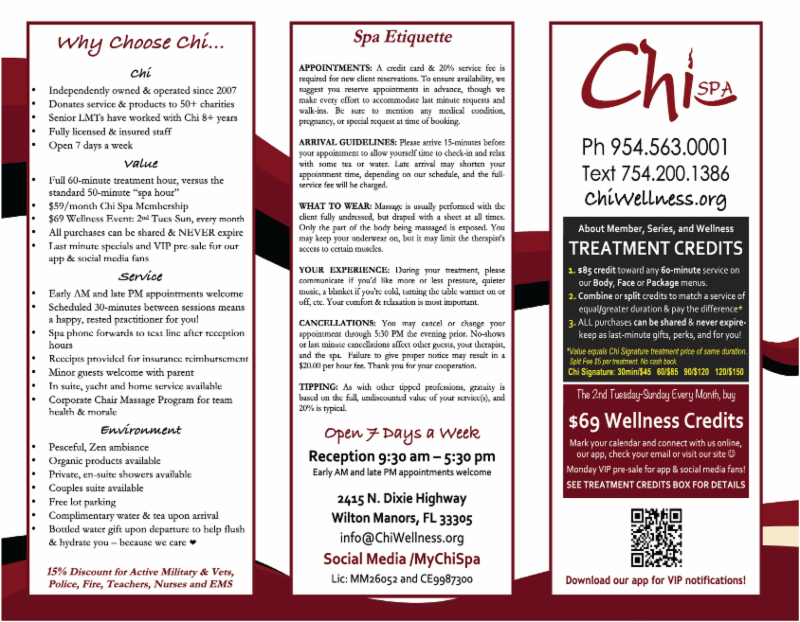 Buy With Confidence - Chi Spa Gift Cards NEVER Expire! ...and can be re-gifted, so they're fabulous to have on hand as last-minute gifts for hosts, staff, clients, family, friends, & YOU! Click photo below to be prepared for any occasion.